Angela was terrific, so warm and patient. 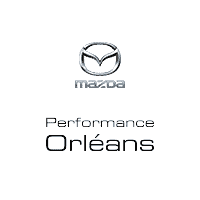 She is a real professional and a great ambassador for Perfomance Mazda. Thanks Angela, you took the stress out of my decision to buy a Mazda 3. By the way, I christened her Penelope! Thank you so much ANGIE for the BEST CAR BUYING EXPERIENCE EVER!! I have never met a Sales Associate as knowledgeable and friendly as she was. Not only was she able to answer all of my questions but she was also very patient and professional throughout the entire process and I could not be more satisfied with my car buying experience. Shout out to Brian the Sales Manager, Patrick the Finance Manager and Andy the GM for the best price and amazing service. I recommend this place to everyone!